Reflexology is a holistic complementary therapy based upon more ancient therapies originating from China, Egypt and North America. It has been documented from as far back as 4000BC and although its specific origins are not completely clear, it has certainly stood the test of time in being a trusted complementary therapy used by many thousands of people. So how did Reflexology get its name? The dictionary definition itself explains that a "Reflex is an involuntary or instinctive movement in response to a stimulus or in the sense of reflection or mirror image”. So simply put, Reflexology is the action of stimulating the reflexes on your feet or hands which in turn act as mirror images of your body. Take a look at how does it work for a detailed explanation and an interactive map to check it out yourself. All the systems of the body need to work in harmony to maintain a healthy balance of body, mind and soul. Any trauma, stress, injury, or illness can cause this balance to be disrupted and therefore the component parts of our bodies are less effective. These problems can then be compounded as the rest of the body has to work harder to compensate, potentially causing further problems in other areas. By using specific techniques on particular areas which represent certain parts of your body, an experienced reflexologist will calm and deeply relax their client which will help clear energy blockages and help restore the bodies own natural equilibrium. Not usually, although some areas of your feet or hands can be tender if they are out of balance. If this happens simply tell the Reflexologist of any discomfort you experience and they should adjust your treatment accordingly. No therapist will want to exert pain on their clients and no one wants to come away feeling bruised or battered! Be rest assured that almost all treatments are incredibly relaxing and some of the best treatments are when you actually fall asleep. No. It would be irresponsible and possibly dangerous on some occasions for anyone to categorically say they could cure someone of their ails. Well trained Reflexologists will look at a persons individual holistic picture and may advise a client on positive changes such as relaxation or exercise, but we will not diagnose a condition or prescribe medication. We are not doctors or pharmacists and although Reflexology can benefit people of all ages, we as complementary therapists, cannot and should not claim to cure any condition. The first step is to have an initial consultation which normally takes an hour and 30 minutes. Within that time all things about your presenting condition will be discussed including lifestyle factors, diet and possible stresses. Your therapist will need to have as much information as possible so please have hospital notes, blood reports, prescription drugs information and anything you think may be relevant. 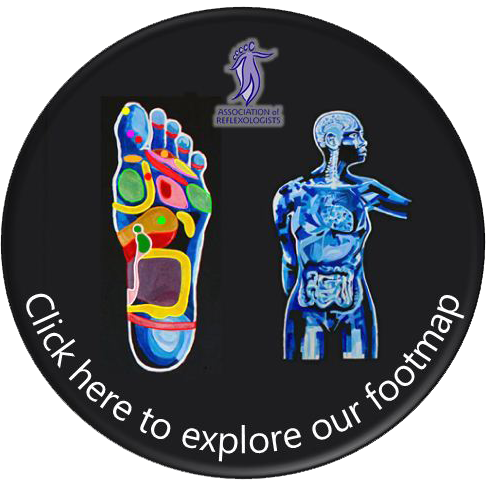 The consultation will finish with a quick assessment of your feet so that we can obtain a visual analysis your feet. If at this point, there are contraindications such as fungal nail infection then we may suggest reflexology on your hands as an alternative. After this initial appointment and based upon all the evidence you have provided, your therapist will create a personalised treatment plan which meets your individual needs. This means that although you may be presenting with the same issues as someone else, your treatment plan will be designed for you and therefore may be quite different from someone else's. You and your therapist will then start the journey and work together as a team to improve your well being. Each appointment thereafter will normally be an hour including follow up and progress report. This is important to ensure that the treatment plan stays on track and you are receiving the best quality care possible. After the catch up there is a brief visual assessment of your feet and then sit back and unwind with a deeply relaxing treatment as your therapist works to continually balance the specific areas highlighted through your consultation.